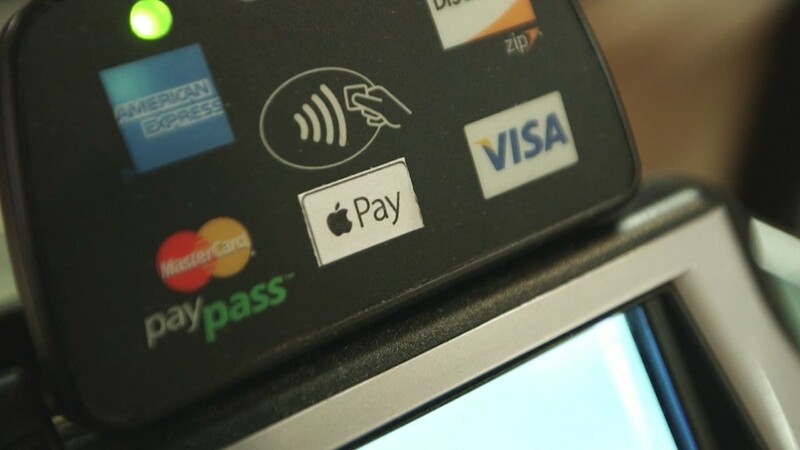 CVS and Rite Aid have stopped accepting Apple Pay, dragging customers into a confusing and annoying fight over payment politics. The drug stores are part of a consortium of major retailers who oppose mobile payment technology like Apple Pay, mainly for two reasons. One, they want to escape the 1.5% to 3% fees they pay every time you swipe your credit card. Two, they want to keep collecting data on shoppers. To do this, the group started the Merchant Customer Exchange to develop their own payment network. The network is called CurrentC, and while it's only a coupon-and-rewards smartphone app now, it's designed to one day let you pay at the register without using your credit card. Wal-Mart (WMT) led the effort to develop this, and it's been joined by Target (TGT), Bed Bath & Beyond (BBBY), Dunkin Donuts, Gap (GPS), Publix, Sears (SHLD), Shell, Wendy's and many more. And -- surprise -- no member of this group accepts Apple Pay. The result? There's a quiet battle underway over back-end banking systems you largely don't know or care about. On one side, there's MCX, which boasts an impressive army of shops. By its account, there are 110,000-plus locations that process more than $1 trillion in payments a year. On the other side are Silicon Valley giants, major banks and a few dozen brands that are trying to popularize this wireless technology. The new iPhone 6 includes a tap-to-pay feature that works at any cash register equipped with something called Near Field Communication technology. It works at McDonald's (MCD), Starbucks (SBUX) and others. But while CVS (CVS) and Rite Aid have the radio wave sensors at registers, they recently turned it off. Customers using any NFC technology -- Apple Pay, Google Wallet, or Softcard among others -- will now get rejected at the register and told to pay another way. Rite Aid flipped the switch without warning Friday midday, and CVS followed suit late Friday night, according to a payment industry firm that was alerted at the time. On Monday, both CVS and Rite Aid defended their decision to switch off NFC payments. Representatives at both companies said they are currently "evaluating mobile payment options." Meanwhile, MasterCard (MA) noted that customers are worse off as a result. "We believe that people should be able to choose how they want to pay. We are disappointed that both Rite Aid and CVS have decided to block their customers from using the payment method of their choice," the company said in a statement. Those familiar with this ongoing behind-the-scenes battle say retailers taking an anti-NFC stance are being shortsighted. "It's very self-serving to the merchants. They're looking at their profits, versus looking at what's best for the consumer," said Ralph Dangelmaier, CEO of e-commerce payment software maker BlueSnap. MCX did not return calls for comment. 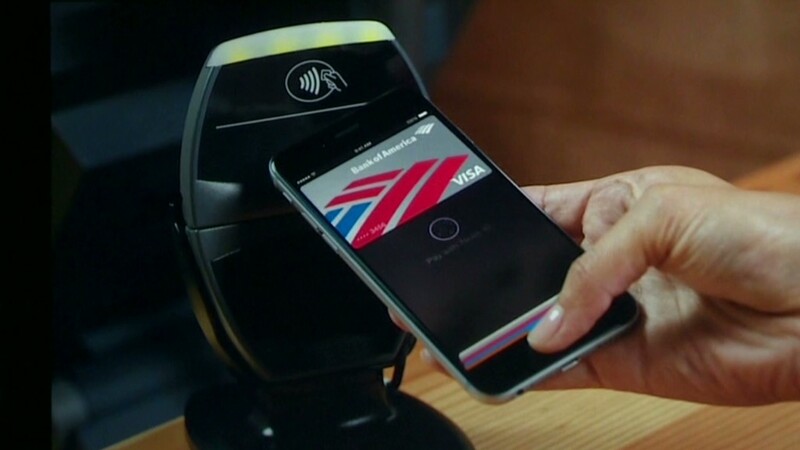 NFC expert Doug Yeager thinks tap-to-pay technology will win eventually anyway. "Long term, most MCX merchants will cave in," Yeager said. "At the end of the day, what's more important? Selling items or trying to do it your way?" But until then, expect a nonsense patchwork of payment options.